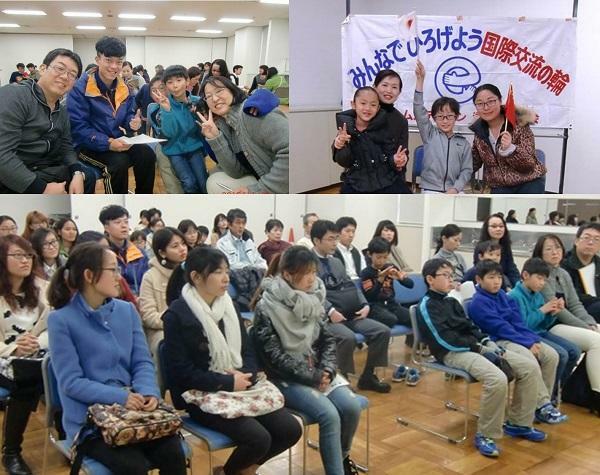 On November 29, 2015, the Program's Opening Ceremony was held at the Tsu Region Plaza and international students met their host families. This is a program in which the members of the volunteer group invite international students to their home and enjoy getting together on various occasions. The program was named as "Second Home" in the hope that international students would feel at home during their stay with their host families. At Mie University, we call for attendants among newly-arrived international students twice a year, spring and fall. About 15 students participate in the program each time. In this time, 17 students (10 from China, 4 from Taiwan, 2 from Thailand, and 1 from Viet Nam) joined the program and host families were introduced to them. Please have a good time through active communication with your host families and enjoy your stay in Japan!